Newspaper display advertising appears alongside regular editorial content. Display ads are generally used by businesses and corporations towards promotion of their goods and services and are generally for larger budget clients. 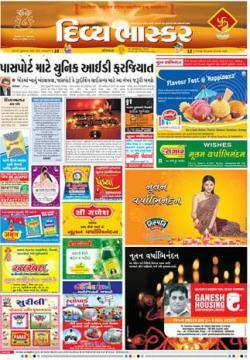 We advertise in all language newspapers. Newspaper display ads are different from the regular “display ads” terminology, which is commonly referred to as advertisements placed on the internet in banner and other rich media format. These ads can span across multiple columns – and can even cover full page, half page, quarter page or other custom sizes. They are designed in high resolution coloured and black/white formats providing higher visibility for the mass audiences of newspapers. For many major newspapers in developing markets, display ads play a significant role in subsidizing the cost of the published newspaper. Display ads typically contain text, photographs,logos, maps, and other informational items. In a newspaper, display advertising appears on the same page as, or on the page adjacent to general editorial content. Whereas, classified ads generally appears in distinct sections – based on their ad category in a designated newspaper classified pullout. The classified pages were traditionally text-only, and available in a limited selection of typefaces. Classified ads can either be normal classified texts or classified display ads. Classified display Ads are cheaper than regular display ads – and appear in smaller width sizes in the classified columns. Display Ads are generally 6-7 times more expensive than classified display advertisements. Typically newspaper display ads and are caused by larger business establishments with larger advertising spends. Display ads include retail/branding, public announcements, tender, public notice, education admission notices, UFR, special appointment Supplements etc.For Personal/ Individual Requirements such as selling Property, Automobiles, Change of Name newspaper classified ads are more optimally suited.